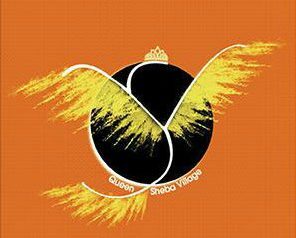 QUEEN SHEBA VILLAGE is first and foremost an Educational instrument: its cultural, economic, training and teaching solutions are always in a process of expanding. With the objective of combining fundraising and aid to the women and girls of Senegal, its workshop training modules and its volunteers have demonstrated that providing this type of assistance and knowledge from trained leaders can transform and inspire others to better themselves and CHANGE lives. Queen Sheba Village organization is setting up a center that enables people to have access to education in one conducive location feasible to a significant population of citizens which is the key to development and the main central goal of QSV’s mission. Assane Artchitect company has been consulted and has completed the high end building certification to officials partnering with T.CO construction company contracted to build. We finance our activities with the revenues from family, friends, friends of friends and other words personal donations from generous donors like you. Your support is therefore greatly welcome. You can make your donation by credit card, or by a single direct debit or financial transfer. Financing projects with a commitment to the community, and developing sustainable programs that help to build a more promising future for women and girls in Senegal is key. We seek your support in fulfilling these every important objectives. Whether it is in the form of a small donation or through organizing a fundraising activity, every cent brings us closer to achieving our goals. We are grateful for all donations. As we are a registered charity, donations within the state of Maryland, USA are tax deductible. For donations from abroad, please check the rules on tax deductions as this varies from country to country. Your monetary donations will provide hope for women, children and families in Senegal, and donation of your time can give you the opportunity of a lifetime where you can learn skills with a Nonprofit organization for helping others; this can also be a great addition to one’s professional resume. The goal and vision for the social center is to be self-sufficient as possible. This means having resources that both fulfill needs but also create an opportunity for income which we have acquired. We have land for growing crops and owning goats, cows, chickens, turkeys and additionally to sell eggs and meat. Our livestock will be sold in local surrounding markets to secure financial needs. This opportunity to generate income we invested in before we obtained land which is adjacent to the Center property. Solar panel installation will aide in electricity use. Selling refrigerated products such as sorrel naturel juice(bissap) and ginger serves as a good demostration for our aspiring entrepreneur students. We invite anyone to join and help see the vision come to fruition through joint partnerships or donations and is welcome to contact us by email:queenshebavillage.inc@gmail.com or phone: 202 858 6052. Additional information listed below. QSV will raise funds for projects, programs and events as needed. Initially set up to build a facility where there is a current need immediately which is in progress now! 2. QSV COUTURE Boutique(s)which sells children’s clothing and natural beauty products for skin and hair. QSV sales from homemade atelier clothing(Couture), books and a variety of American influential styles (babe Zoey) new and used for adults, children,and infants, vintage pieces, and international (ADA”s Hut) luxurious feminine bath and body products nourishing skin and hair will go towards funding the center. A yearly Art/Fashion exhibit will be held in the the Capital of Senegal, Dakar City, where notable artisans, fashionistas and locals will sell their wares and art collections. A percentage of sales will benefit The QSV Empowerment Educational Social Center.